The Bombay style unit sorter is designed to handle medium-sized product at rates of up to 7,200 units per hour. 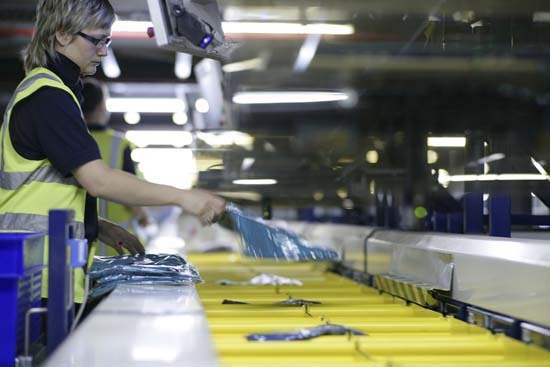 The machine consists of a loop of trays connected to a chain. 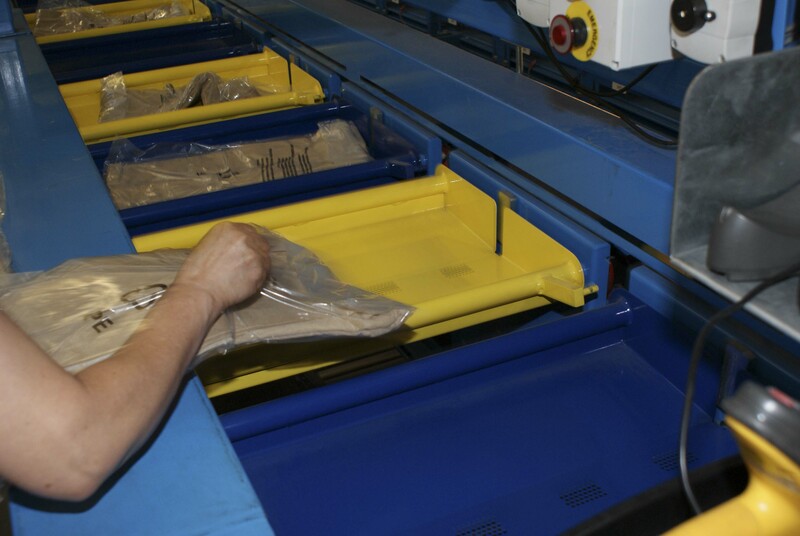 The product placed on the tray is dropped directly into a tote/carton. The machine has been designed to provide six different sizes of Bombay tray that will meet the varying degrees of customer requirements. 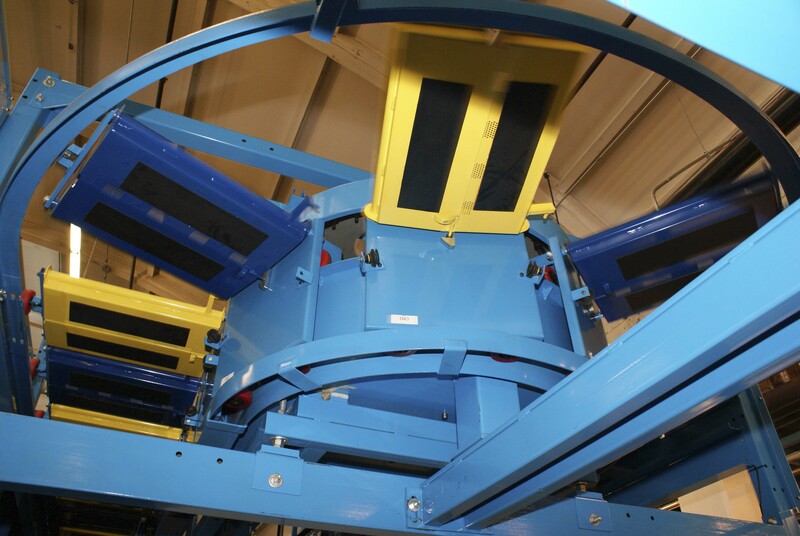 The ability to drop product directly into a chute/tote or carton allows the machine to be installed in very confined spaces. Destinations can be as close together as 18”. Each Bombay unit sorter has one drive unit that can power the entire loop. • Max product weight is 15 lbs.